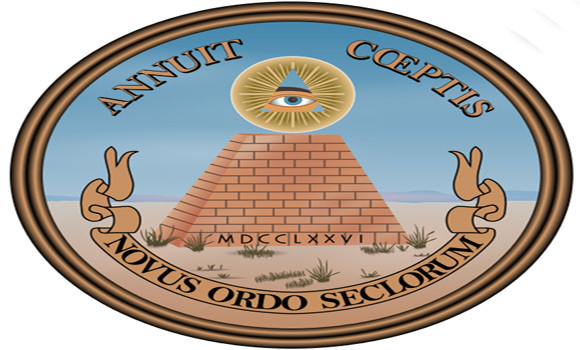 By now, it should be clear to all informed observers that there are only two options regarding the true motivation behind the decisions being taken by the American ruling class, particularly in terms of foreign policy – a truly hidden agenda aimed at moving geopolitical chess pieces into place for the purposes of initiating a world conflict and the establishment of a hegemonic world order or, simply put, absolute mental insanity. From seemingly irrational decisions such as the support of Fascism in Ukraine to the support of Al-Qaeda and other Muslim Fundamentalist terrorists in Syria, the apparent (at least at first glance) bungling of good relations with Egypt, and the destruction of Libya, the U.S. foreign policy is either bent on the arrangement of battle lines between thermonuclear powers, or it is simply incapable of making rational decisions to avoid such a confrontation. Personally, I tend to believe the former. While it is true that insanity does not preclude the presence of intelligence, even high intelligence, it is also true that the ruling class in the United States and the rest of the world, regardless of seemingly insane and self-destructive decisions, has also managed to maintain a firm grip on its power. Thus, the extent to which they which the ruling class is willing to diminish their power on the basis of nationalism or nationally-based political decisions, is virtually nonexistent. Clearly, those afflicted with various forms of psychopathy will tend to vie for power and fight amongst one another on occasion. However, such internal squabbles should not be reduced to mean an entirely divided opposition. In fact, the world ruling elites have manipulated geopolitical decisions and outcomes since time immemorial. These same ruling elites have initiated world wars in the past, complete with the requisite devastating effects on the little people down below. Yet the ruling class has always managed to survive as well as to hold on to their positions of power. Thus, it is important to remember that, as we continue to watch the development of international concerns and as geopolitical tensions arise, there are much higher levels of coordination than those in elected positions in Washington, D.C., London, Moscow, or Beijing. What appears at first glance to be total insanity, poor political decision-makers, and counter-productive foreign policy positions, most often is an entirely planned and coordinated set of events set in motion a long time ago. From the negotiation of atrocious trade deals that ship domestic jobs overseas to the reduction of one nation’s military power while its alleged enemies continue to arm, or even the undying support for a settler state in the face of all morality, law, and common sense; if the engineers of such decisions were merely irrational lunatics, they would have destroyed themselves long ago. Thus, as the United States, once an undeniable world superpower, seemingly does everything it can to throw away all of its power and influence in certain regions, allowing the Russians and the Chinese to swoop in and take the spoils, it is an absolute must to remember that those in true control of such decisions are marching forward on a plan created a long time ago and are not merely reacting to the development of random and unplanned geopolitical events. Of course, the above comments should not be interpreted as fatalistic or suggesting that nothing can be done about the state of the world. In fact, the point of this article is quite to the contrary. In the end, if we are to divert the world from the collision course it is now set upon, we must do so with the full realization that official agreements and geopolitical power grabs are most often, though not always, already a planned part of a much bigger agenda. The world’s ruling elites have already written a script that they demand be followed from beginning to end. But that script can be re-written. It is up to us to rewrite it. The Zionists financed BOTH SIDES of WWII this is common knowledge. Just like Obama’s lying you cannot expect it to ever end. This is all the Elite know.